Known as "The Bahirawakanda Temple". 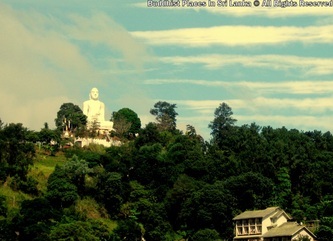 The Sri Maha Bodhi Viharaya at Bahirawakanda is a very attractive and hilly place in the Kandy Town. This is a center for carrying out national as well as international Buddhist relations. Many tourists are attracted by this temple. The monastery was started in 1972 ,the founder was the ven.Ampitiye Dammarama Thero. He disaided to build the big buddha's statue and started to build it with the peoples donations in year 1972 he could finsh the construction of the budda's statue and open on 1 st of january 1993 , President R.Premadasa was opend the statue.after the opening the statue people started to visit this temple from sri lanka and all around the world.Bahirawakanda temple. 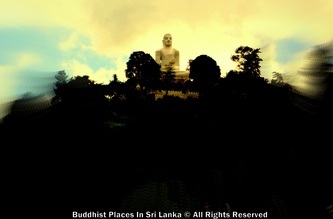 This Buddha statue seen from everywhere in Kandy city.